Over the last decade-plus of television, you were introduced to the Anti-Hero. Not that movies, TV, and books didn’t have complicated, morally gray leading characters before, it’s just that beginning with The Sopranos in 1999, it became the template for intelligent, well-made prestige TV shows. This led to a kind of Golden Age inhabited by your Walter Whites and Don Drapers, but also your run-of-the-mill knockoffs like Ray Donovan and Low Winter Sun (I haven’t seen either of these shows, which is totally unfair of me, but they are both horribly reviewed and haven’t found a wide audience, so they work as examples). Naturally an Anti-Hero fatigue has set in. Something would have to replace it. The first season of FX’s Fargo went by fast. With only 10 episodes, it wasn’t able to gain the footing necessary to become a buzzy, water-cooler kind of show. This is a shame, because Fargo could be TV’s future. Beginning (from what I can recall) with House of Cards, prestige cable shows have been increasingly moving to a short-run, binge-friendly format. Netflix is obviously the key culprit. They lured Kevin Spacey and Robin Wright with a 13-episode season that shoots quickly (so they can get back to movies) and is dumped onto Netflix’s servers all at once, ready to be devoured. It was a success that put Netflix’s original content on the map. Then there is the season-by-season method cable networks have been employing. Shows like True Detective, and now Fargo, create a full season, wrapped around one main plot and a few characters. At season’s end, the strategy is to move onto another storyline with a brand new cast, but keep the setting and tone. They can draw movie stars with the benefit of playing a role over 12 hours of runtime, not just two. It’s a way for them to challenge themselves by sinking their teeth into a character, without getting locked down to a network contract. One season, and they’re gone. Matthew McConaughey and Woody Harrelson did this in True Detective, and Billy Bob Thornton and Martin Freeman do this in Fargo. Billy Bob, in particular, is undeniably perfect for his character, Lorne Malvo. He possesses the range necessary to sweep from polite, oddball Minnesotan to cold, amoral nihilist that the role calls for. For a guy who doesn’t do much quality work anymore, Thornton clearly had fun biting into Malvo (his disturbing hairstyle alone is worth the watch). In fact, one of his best roles was in The Man Who Wasn’t There, a 2001 neo-noir written and directed by the Coen brothers, also responsible for the 1996 film Fargo, which, obviously, the show was inspired by. Creator Noah Hawley retained the tone and atmosphere of the film, but wrote an entirely new plot and characters (even if they do smell like Coen characters). It’s actually amazing more original shows don’t do this. You take an existing universe from the movies and design it for television, keeping the frame, but filling in a new picture. 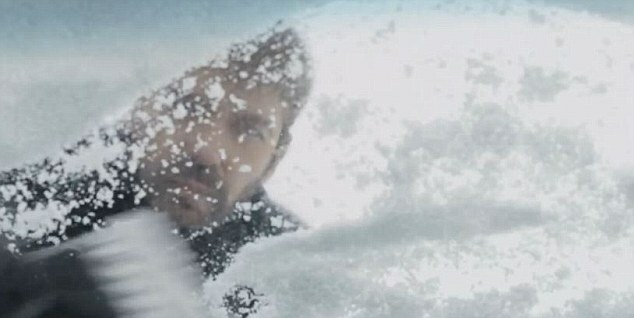 The story centers around Malvo wreaking havoc on the small town of Bemidji, Minnesota with his violence and terror, beginning with his influence on timid Lester Nygaard (Martin Freeman). Police in the form of Deputy Molly Solverson (I mean, that name) and Gus Grimly (Colin Hanks) follow the bodies and try to piece together what is happening. When I say more shows should do what Fargo did, I don’t think everyone should try. Hawley does a remarkable job of creating his own world of amusing circumstances and droll characters. The supporting actors on this project are a treat on their own. Bob Odenkirk (Breaking Bad‘s Saul Goodman) plays Police Chief Bill Oswalt, Adam Goldberg fits in effectively for a few eps, and even Key and Peele make an appearance late in the season. Part of the draw of Fargo (and Fargo, the movie) is the dry humor of northern small-town politeness in funny accents and behavior. 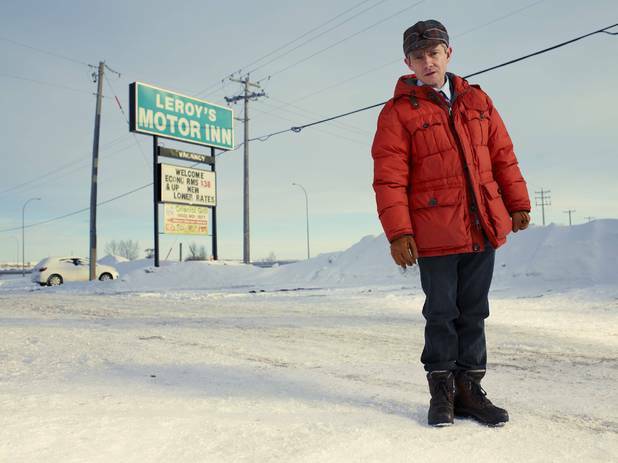 The people of Fargo (the show, not the actual town) are courteous and deferential-to-a-fault. Yet, beneath the plaid coats and the “Oh, you betcha”s sits an undercurrent of deep-seated dissatisfaction that manifests itself in murderous ways for some of these characters. Kind of like how underneath the glamorous ’60s-era clothing and style of Mad Men sits a gnawing existential dread. In the film, greed drives the characters. 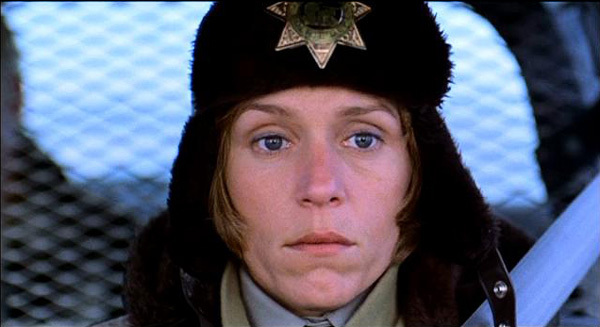 The Coens were probably making a bigger statement than this, but the basic plot shows each character’s (besides Frances McDormand’s Marge Gunderson) lust for money. Hawley’s show takes on a deeper, philosophical feel. This show ponders right and wrong, good and evil, and riddles. That last one is key, or else Fargo would be too self-serious for its own good. It holds onto just enough of the film’s comedic inclinations. However, as a post-Golden Age TV show, Fargo needs to be more than just an elegantly made “miniseries” with a sophisticated tone. Shows like True Detective have already cornered the market on that – and HBO draws bigger talent. What Fargo does better than just about any new show is ignore the modern compulsive desire to create an anti-hero. The show begins by introducing us to Freeman’s Nygaard, who at first glance appears to be the spineless Average Joe that undergoes a dark transformation that leads to questionable moral choices, causing the audience to try and justify our empathy for this charming monster. There’s just one problem: Nygaard isn’t likable at all. In fact, he’s quite loathsome and (don’t worry, no major spoilers) by the end of the series, he’s revealed to be just as spineless as we originally thought. No, the star of Fargo are the good guys – well, more accurately, the decent guys. Decency reigns in this season of television, an outcome that sprouts naturally from the show’s setting. We are used to seeing dramatic heroes swoop in to save the day, but the men and women of Bemidji are just doing their jobs, then going home and watching some Deal or No Deal. Not that the unspeakable acts of violence that occur (they hit hard, but are not as graphic as they could be, fortunately) in their town don’t have an effect. This is still a dark and heavy show in the end, which is part of what is so refreshing. Fargo seems to have all of the anti-hero show tropes, yet subverts it by bringing good and evil, unambiguously, into the discussion. It’s good to know there is more than one way to do an elegant and complex TV show. I like the short seasons. When network TV trots out 22 episodes or 15 episodes there’s just so much filler. Fargo succeeding because of the uniqueness of all the characters not just the Malvo and Nygaard. House of Cards excelled because of the binge capability as well as the downright scary thought that a murderer was just a heart beat away. True Detective not only had Matthew and Woody, but they also had the unique terrain of Louisiana, and a compelling mystery.. Both are excellent shows. I wasn’t crazy about House of Cards’ 2nd season, but it may be the ultimate “binge show”. And True Detective was so very well done. Hopefully the next season can be just as riveting. They still both rely somewhat on the anti-hero format though, which isn’t inherently a bad thing. It just made Fargo even more refreshing for me after seeing those shows.